Processing of plastic cards takes a lot of time if done manually. In banks it can take 30+ minutes to register and issue one card. In addition, operators are prone to mistakes extending processing time even more. To maintain customer service standards bank management have to hire more operators and increase expenses. Every operation is streamlined to be as fast as possible. Card Vending Machine was created to solve these problems. It simplifies registration and issuing of cards. For example, as a bank operator enters data on a customer, the machine automatically issues it without any delays. Up to 8 operators can use one Card Vending Machine. Our Card Vending Machine comes in a variety of configurations, making it fit for any premises and client base size. Machine body can be easily branded with company color or logo. 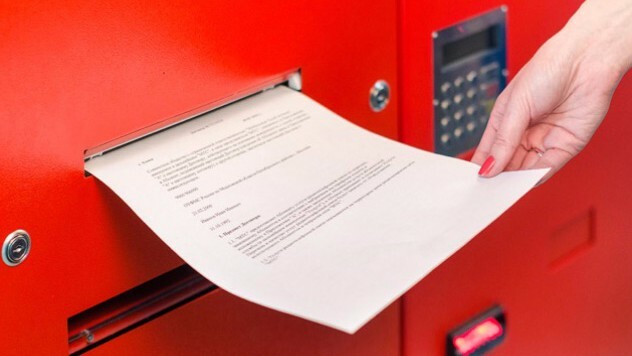 Moreover, a Card Vending Machine can be customized by installing additional equipment to meet specific needs: a document scanner or a fingerprint sensor.